Tucked neatly into Watchung Plaza in Montclair, NJ, you can find Watchung Booksellers. I'm sitting down to talk with them this week because they are far more than an independent, community bookstore, they are a veritable author's paradise. For such a small space, their events calendar is enormous, with authors and readers coming from near and far to meet and interact in ways that truly bring both groups closer together. If I have any questions about how new authors can reach readers, the answers can surely be found here. Specifically, they can be found with Marisela Santiago, Watchung Bookseller's Community Programs Coordinator and Children's and YA Bookseller. She's been a bookseller (her dream job) for six years, is an avid reader (with a particular preference for mysteries, science writing and cool dystopia), and a mother of two awesome boys. She lives in Glen Ridge, NJ. 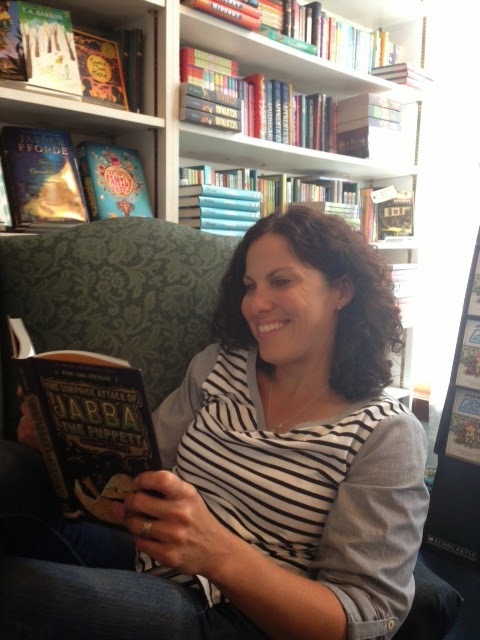 How does Watchung Booksellers work with new authors to help them reach new readers? We have a couple of programs that are really exciting. One is the Authors in Schools program, where we pair authors who are touring in support of their books (whether they are in book 5 of a series or releasing their debut) with schools in the area for free author visits and programs. Anyone who works with schools knows author visits can be costly so this benefits everyone! The cool part is we get to do discounted pre-sales of the authors' books to the kids prior to the author visits and provide library sets as well so we have really enthusiastic and informed audiences. Also, we then feature these books in the store for a long period after, taking advantage of the (amazing!) power of kids' word-of-mouth. We also have our Author/Illustrator Saturday Story Time which has also featured everyone from debut authors to superstars like Peter Brown. The fact that it is a series means there is a built-in legitimacy and audience that both the authors and audience members can count on. Again, these books are then featured for a while in the store and we keep signed copies around that become favorite gift items for folks buying at the store. We have one more sort of fledgling program for YA Authors, a new series that has already seen the likes of David Levithan, Gayle Forman, Maureen Johnson, and Sarah Mlynowski. We are collaborating with the Montclair and Glen Ridge Public Libraries on this series and, talk about getting the word out! Believe it or not, teens are a really tough audience to crack - especially that reading seems to be driven by movies and not the other way around. So, this collaboration not only gets us a broader audience for the author but it also gives the Series great clout. We are looking to start pairing authors off in the future and hopefully, this will include pairing new authors with experienced authors in conversations, again putting the word out for new writers. Living in Montclair we have such a huge literary community that we are never short of new names to add to our phenomenal group of authors. Authors recommend each other, publicists bring us their clients and publishers rave about folks they know in the area. We host new events all the time at the store and are very committed to spreading the word about new voices. We all read constantly and if we can't get to a book we rely on an amazing (and varied) group of young readers that bring us back opinions and recommendations. Of course, the most important thing is to keep track of these opinions and recommendations and share them with our customers. Which of those ways seem to work the best? Hmm. I would say the combination of all of these really works very well for us, I'm not sure I can pick one thing that is working better than the rest. I think that really listening closely to the buzz, keeping an ear out for what our customers are loving, talking to each other about what we have read, loved and heard about, and constantly taking chances on new things is what matters the most. In terms of reaching readers, do you think bookstores measure success the same way authors do? I think that, while we are very cognizant of the importance of sales and numbers in measuring the success of a book or an author (trust me, we are as realistic as anyone about that), we also have the luxury as booksellers of witnessing the little moments, most of which are interpersonal, that rounds out that picture of success for us. For example, even before a book like Percy Jackson or Wonder takes off with insane sales, we can see the one kid who responded to the book, run into the store for number two, drag his friends in to get them to read it and so on. And this experience also happens with books that are "smaller" in sales scope. For example, I remember one little customer who was not excited about reading any more but who used to love horse books. 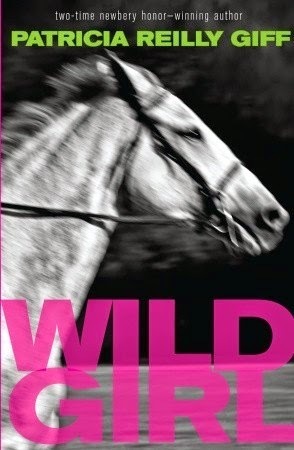 She was getting too old for some of the traditional horse series so we paired her up with WILD GIRL by Patricia Reilly Giff, a phenomenal book about a girl who loves horses who moves to a different country and, voila! This kid was reading like a maniac again. That is a successful book as far as we are concerned - a book that changed a life! And talk about finding a new audience. Often a kid like that will like it so much she will pass it on to her friend and then she'll pass it on to her friend as well and before you know it, we have a run on it! So, I guess the answer is not necessarily. For us reaching readers happens both in a big scale and a small, very personal scale. Imagine I'm a new author reaching out to your store. What are some of the do's and don'ts you could share with me? Hmm. That's a hard one! I think that's mostly a do list. I think that getting out there in front of as many different audiences as possible is very important. I have seen so many books catch life after kids meet authors, listen to them, watch them draw, hear them read, etc. Especially in a time when kids are bombarded by selections of books that often seem suspiciously similar, the personal backstory, that connection is really important. Also, along with events and as often as possible, make sample books available to school librarians, town librarians, local bookstores, bloggers, etc. Word of mouth is HUGE and that helps build it! 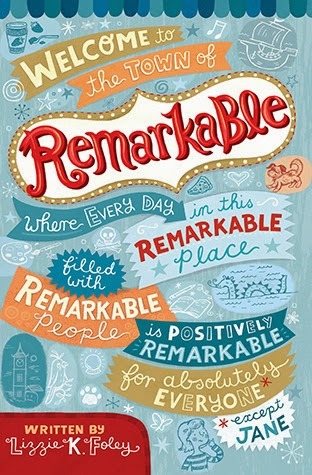 I remember when Lizzie K. Foley was promoting her debut novel, REMARKABLE, and we did a store event and then a school visit and she was so worried about how she would do as it was her first time talking to kids about her book. She did great of course, but she really had them when she told the story of the main character, Jane, a totally normal kid in a town full of amazing people and how that's how she felt growing up and that's where the story came from. Never mind that the cover of this book was lovely and that the story is absolutely fantastic (and it is!) I could see these kids where going to read that book no matter what. This book went on to do really, really well, by the way. If you had an unlimited budget, what would you like to see your bookstore do? Oh, that's easy. Expand our programs with schools to include as many free books as possible. And, I'm thrilled to say that James Patterson, with his Saving Bookstores, Saving Lives Million Dollar Challenge, has made that possible for us! Starting this year, with grant money from Mr. Patterson, we will be able to donate more books than ever in conjunction with our Authors in Schools Program. Making sure libraries have book sets, classrooms have book sets, kids who can't afford to purchase books have books sets. We are working on that dream and are off to a great start.